Thank you for visiting another one of GT Auto Sales's exclusive listings! GT Auto Sales is honored to present a most breathtaking example of pure vehicle design decadence...this is the vehicle of dreams! The paint is in excellent condition and it is apparent that this car was garaged and meticulously-maintained. The body of this vehicle is straight and the paint is in excellent condition, with absolutely no signs of prior damage or reconditioning. This vehicle has all of the right options. This vehicle is fully-loaded. This vehicle has almost every option imaginable. With just 77,879 miles, this car is barely broken in. Very low mileage vehicle. 100% CARFAX guaranteed! The interior of this vehicle is virtually flawless. Very clean interior! This vehicle runs like it has 10,000 miles on it. Very smooth ride! All electronic components in working condition. All interior components are in good working order. A A7 in this condition, with these options and this color combination is an absolute rarity! This vehicle is priced to sell. Our "Buy it Now" price is priced to move fast---act quickly! Competitively priced for a car in this condition. This A7 is the epitome of craftsmanship. 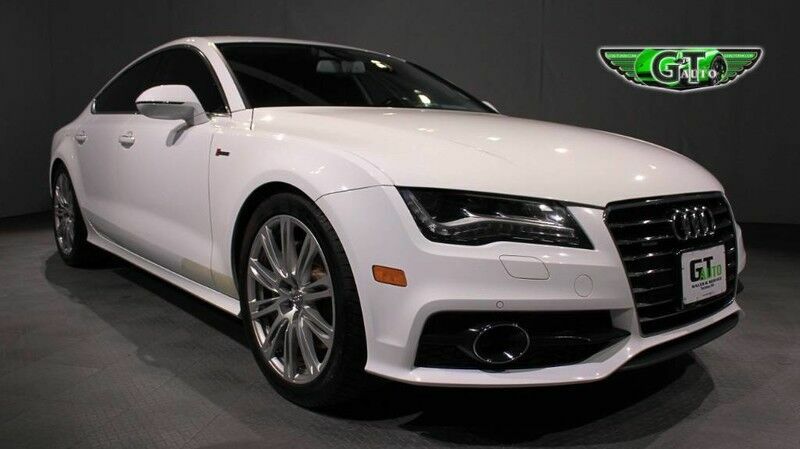 Amazing for the street, or the track, this A7 is sure to sell quickly! The perfect blend of luxury and performance. At GT Auto Sales, no matter what vehicle you are looking for, we can find it for you. Don't hesitate to contact GT Auto Sales. This Audi A7 won't last long. ($dealership) is excited to offer this ($year) ($make) ($model) for only ($price)! At GT Auto Sales, we strive to provide you with the best quality vehicles for the lowest possible price, and this A7 is no exception.